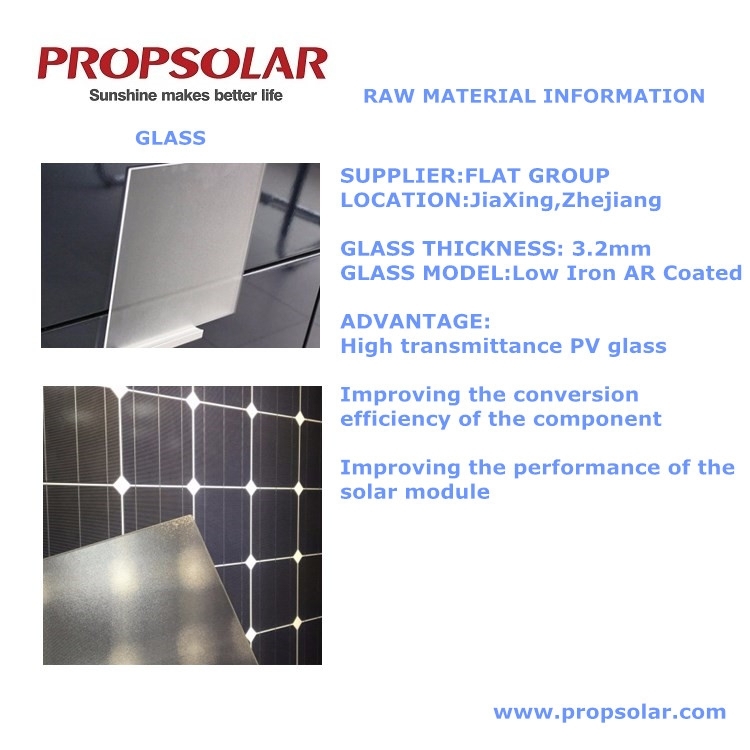 Note: Your Enquiry will be sent directly to Shanghai Propsolar New Energy Co., Ltd..
Shanghai Propsolar New Energy Co.,Ltd, was founded in May,2010 with professional production of Photovoltaic (PV) modules,solar storage system,DC&AC solar water pump system. We specialize in the development and utilization of new energy to provide one stop service and total solution to all global customers. 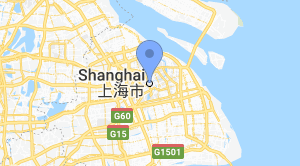 We set up our Sales and Marketing head office in Shanghai,China and we have two production bases, one is located in Changxin,Zhejiang;another is loclated in Wuxi,Jiangsu with total production capacity of 500MW per year. 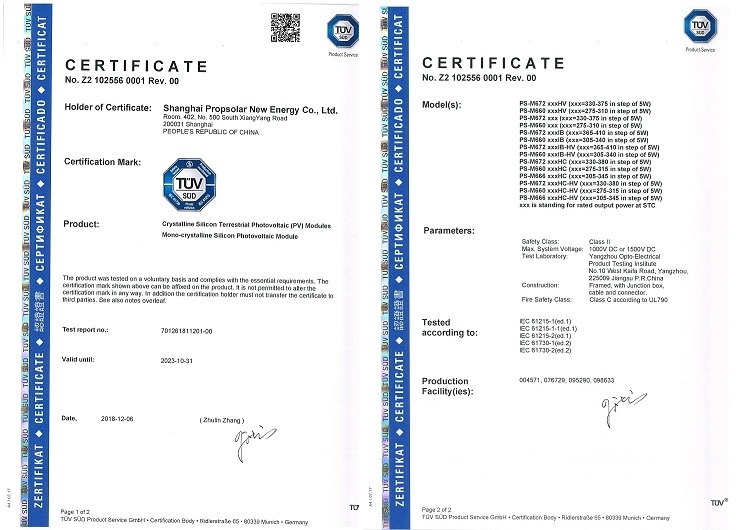 Propsolar Group is cooperating with the cells supplier from Taiwan directly,such as NSP and GINTECH. 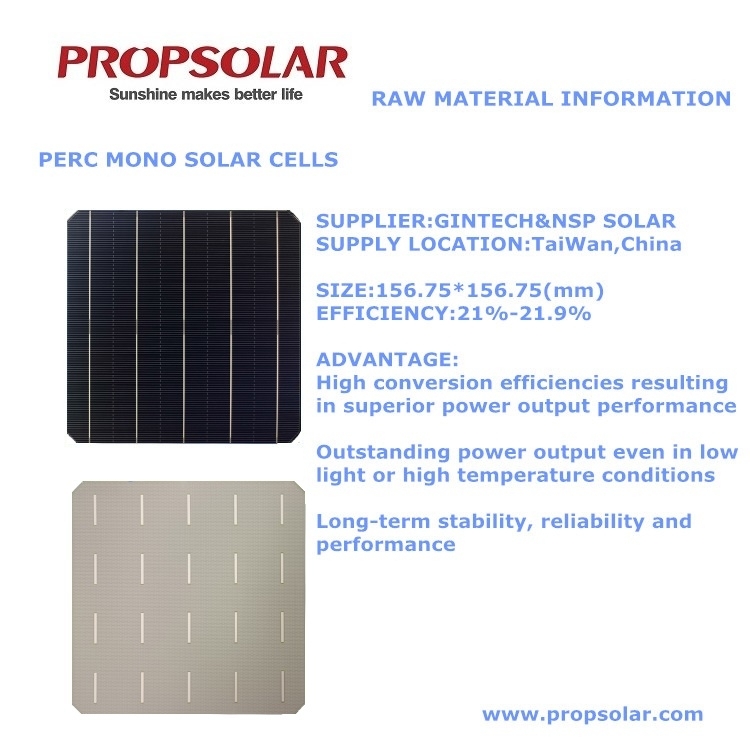 They are offering the high efficiency PERC cells to Propsolar, with the PERC tech, the solar module power Propsolar can offer is up to 360W for the moment. 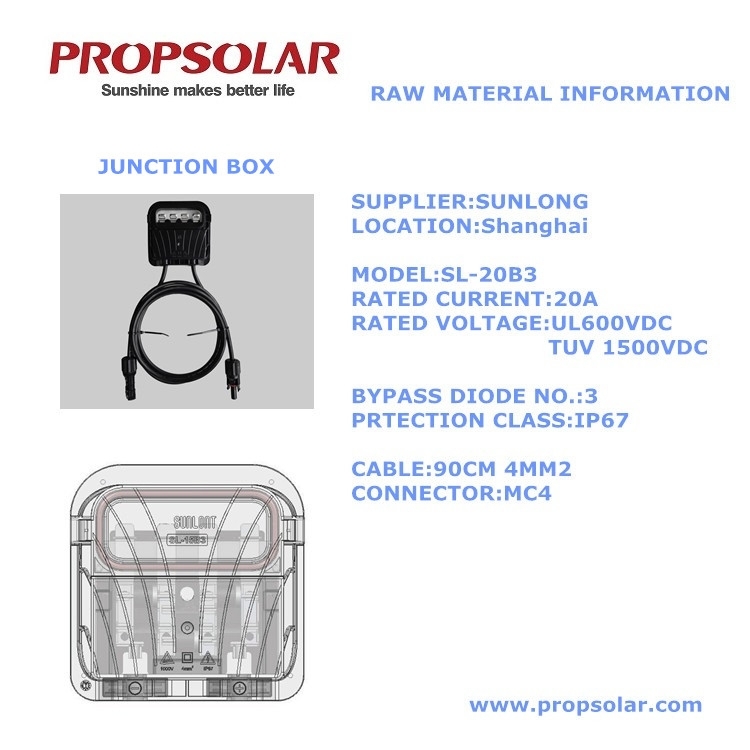 System integration soluation is another service from Propsolar, we are not only produce the high quality solar panels, but also offer the "solar storage system","DC&AC solar water pump system" to our customers. With our professional technology and our professional enginner team, customers can get professional system design and system solution form Propsolar, Propsolar can offer the whole complete solution to our cusotmers to save our customer time and cost. 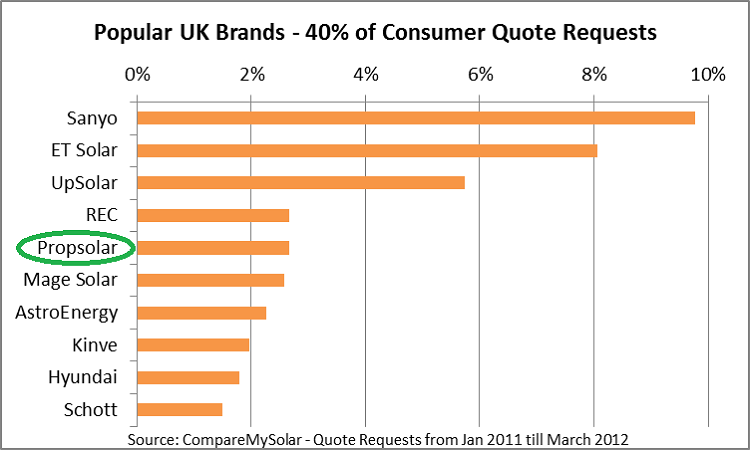 Till now,there are more than 50 countries and areas customers are cooperating with Propsolar, such as Japan, Australia,New Zealand, South Africa,Brazil,Afghanistan,etc. 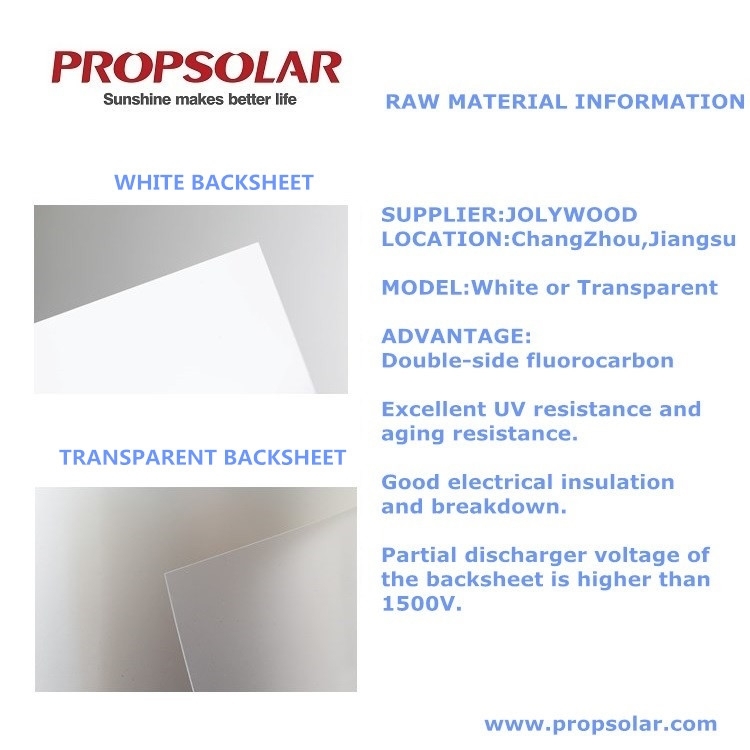 Our customers are not only get the good quality solar product form us,but also the best after sales service, we believe our warranty for our customers is not only just paper, it is the real action. We always seem “quality is our life”. So base on the precondition with higher quality, we optimize the total cost by “technical innovation” and “optimal management” to provide all global customers with high quality product and best service. 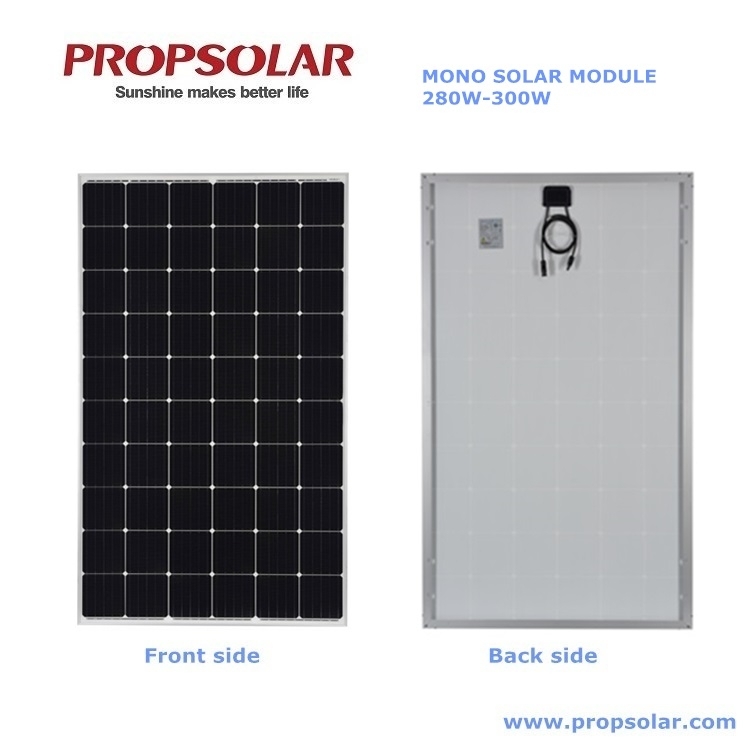 29 More Series From Shanghai Propsolar New Energy Co., Ltd.